Turning 18 is big news. In the U.S., you can legally play the lottery, sue someone, buy some fireworks – and, of course, vote. Eighteen x 18 exists to make sure coming-of-age voters know what they can vote for, and why it matters. 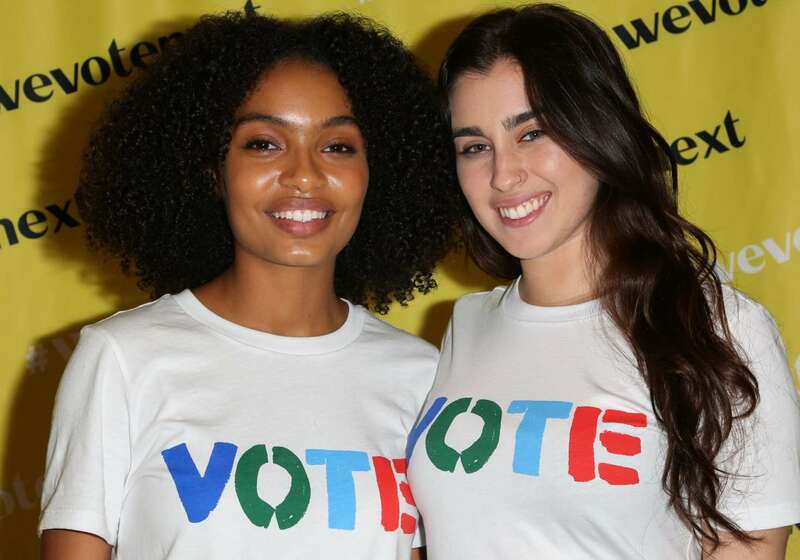 Actor Yara Shahidi (star of Black-ish and Grown-ish) was 16 when Trump was elected, and she felt the frustration of not being able to vote. She launched Eighteen x 18 in response to that feeling of powerlessness, determined to bring her and her peers’ voices to the fore as soon as law would allow it. 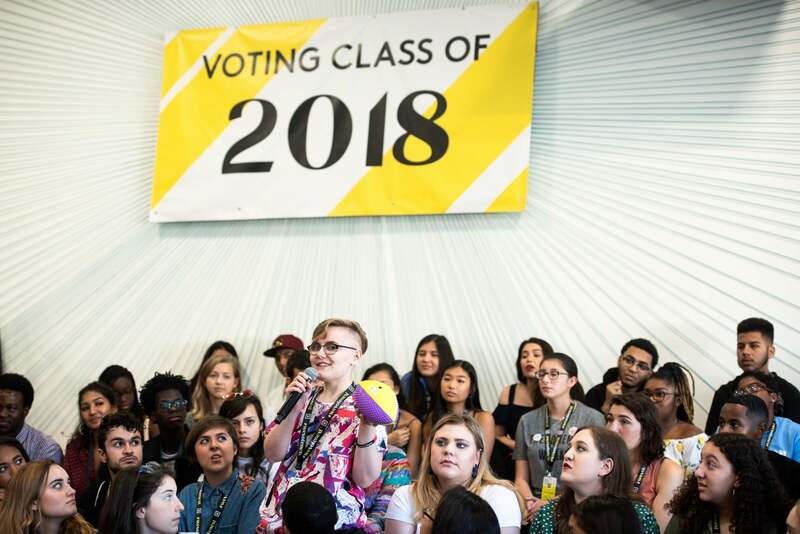 With 4 million people turning 18 in the U.S. in 2018 (including Yara herself), that meant 4 million new potential voters. Yara decided to create a platform that would provide down to earth, easy to understand information on how the government and voting system works, as well as practical details like where to find the nearest polling station, and how to vote from college. 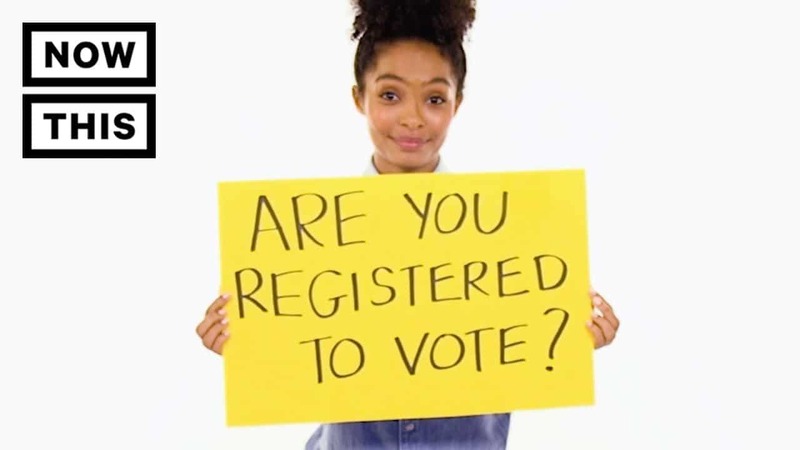 Young voters could use the Eighteen x 18 website to walk through the voter registration process, while explainers and deadline reminders were shared via a newsletter and on social media. The Eighteen x 18 team were also on hand throughout the election to answer questions via direct message or on a dedicated hotline. In the end, 2018’s U.S. midterms saw a 31% youth turnout – the highest, Yara points out, in 25 years. In an essay for Vice, Yara explains her approach to political engagement: “If you want to change people’s minds about the political issues you care about, you need to have something human for them to understand. If you just explain the theory, or the economic impact, then many won’t understand the human element of how policy impacts people.” That’s why Eighteen x 18’s social media is filled with stories from 18 year olds from around the country, sharing personal perspectives on why issues like gun violence, disenfranchisement, and the opioid epidemic matter. With Eighteen x 18’s first major campaign – around the U.S. midterms – now under its belt, they are looking to the future. 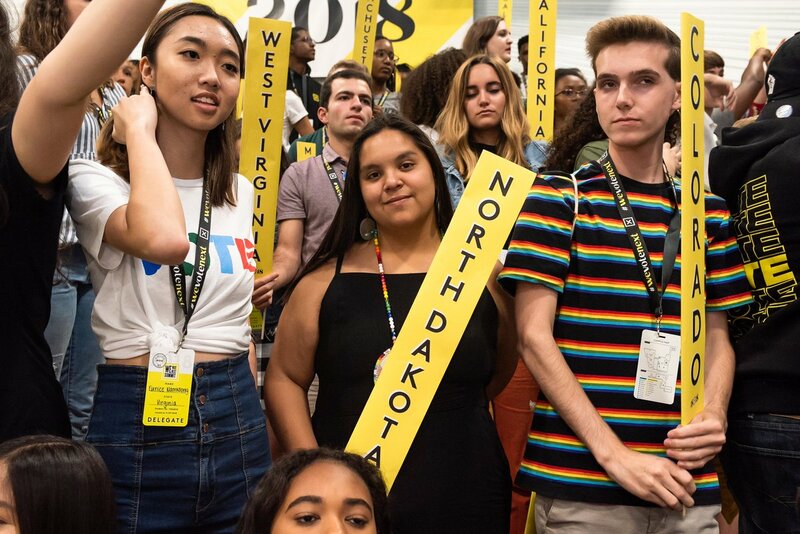 With runoffs in many states, plus upcoming governor and senator elections, there’s plenty to keep understanding and communicating to an increasingly politically aware youth electorate. 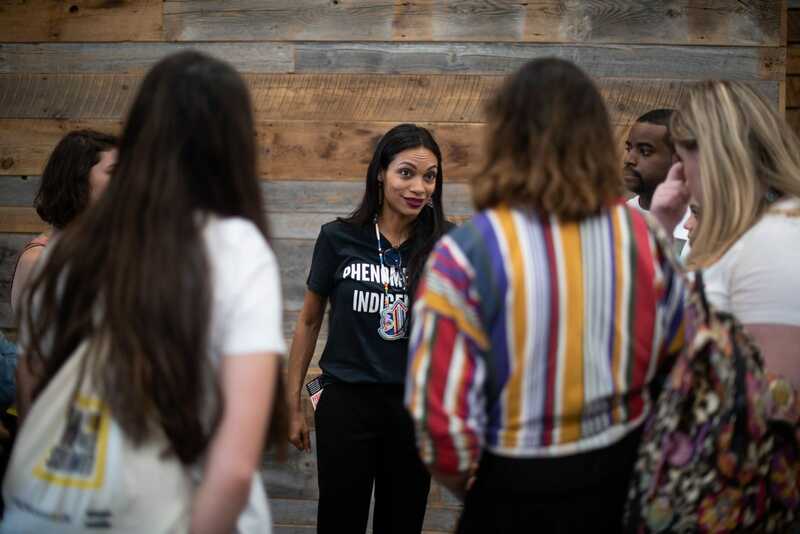 Looking ahead following the #WeVoteNext Summit, Yara explains “it’s now about how do we proceed in a way in which our humanity is collectively bettered”. AtlasAction: U.S. voters can follow Eighteen x 18 on Instagram, Twitter, Facebook and Snapchat for need-to-know updates when the next chance to vote comes round. AtlasChart ► Eighteen x 18 was mapped by Hip Hop Caucus in their Top 3 favourite projects. Nature-geek, urban forager and all-round wordy sort. Freelance strategist and writer for organisations that care about the future. Often found reading while walking. Tags: Activism, Awareness raising, Communication, Community, Culture, CultureFutures, Democracy, Empowerment, Media, Politics, Social media, Storytelling, Youth.